With the modern healthcare system becoming better with each day, hospitals are becoming a hub for innovation in mental and physical health. While we don’t like to go there, it is certain that these places help us get better in the long run and have a better life, increasing the longevity of humanity as a whole. 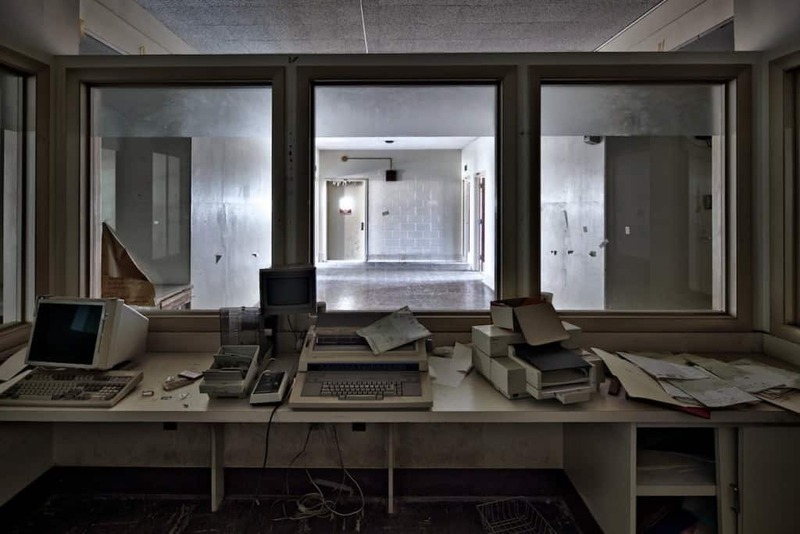 However, hospitals and Asylums are still considered creepy enough as it is, and once they are abandoned there is a certain terrifying chill that crawls under your skin, especially considering the people who’ve died there out of illness or worse – have committed suicide. 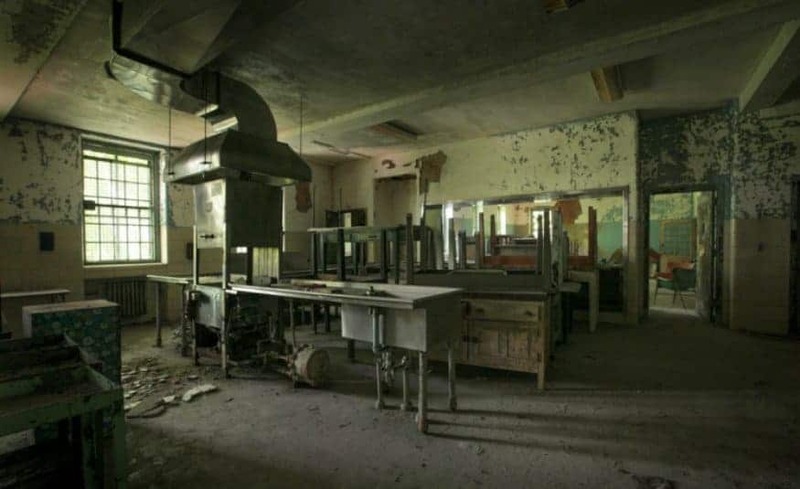 For one reason or another, these 10 hospitals and asylums have been abandoned and they will certainly terrify you! Sitting on a peninsula of the Long Island Sound in the northeast part of Queens, there is an abandoned military installations, which has over 100 historic buildings. One of them, the Fort Totten Army Hospital is the creepiest of them all, as even the photographer who went there to picture it later questioned his sanity. 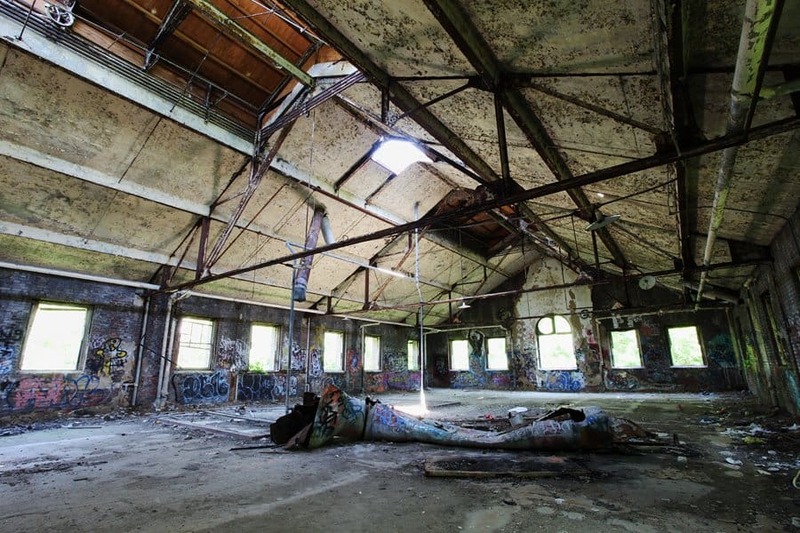 A popular site among ghost enthusiasts and paranormal seekers, the abandoned Fairfield Hills State Hospital is full of mystery, creepiness and just a touch of strange beauty. 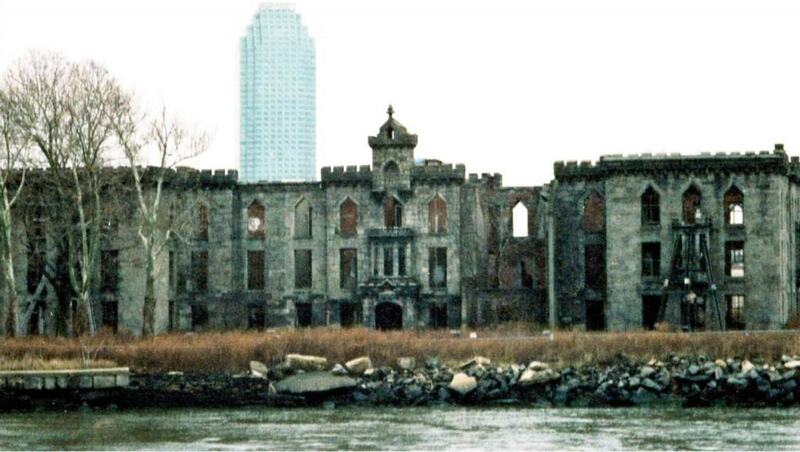 Part of a pair of small island in NYC’s East River, North Brother Island was the site of a hospital. 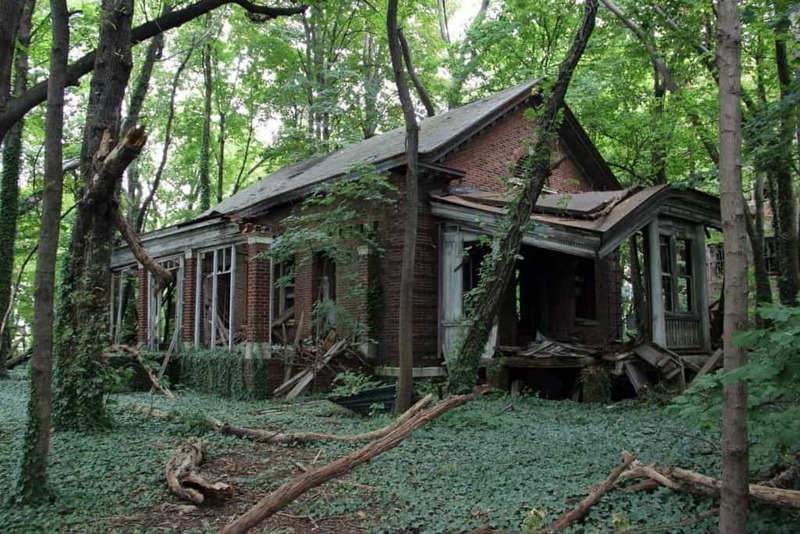 Now abandoned, it was featured on Life After People on the History Channel as an example of what would happen to structures after 45 years without humans. A hospital in the Staten Island of NYC, Bayley Seton Hospital was primarily a psychiatric clinic, which according to legends is haunted by the souls of the patients that committed suicide. 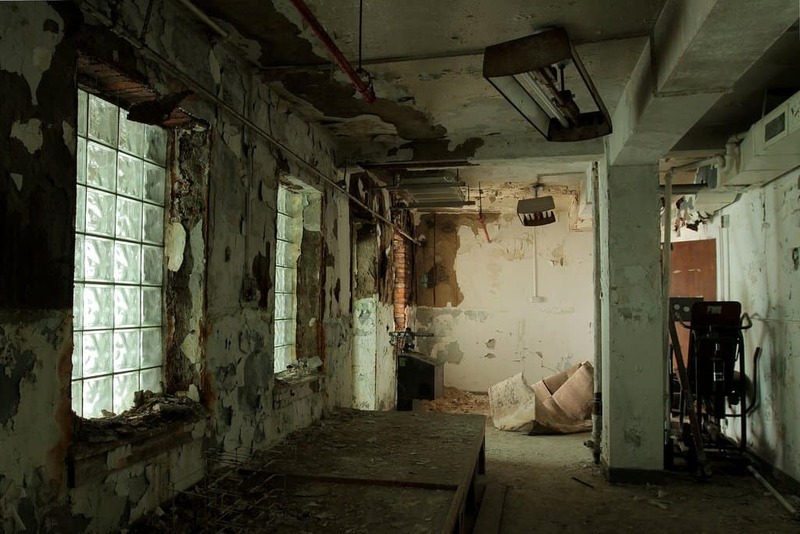 An insane asylum, Creedmoor Psychiatric Center is working to this day being a staple for the modern day mental health institutions in Queens. 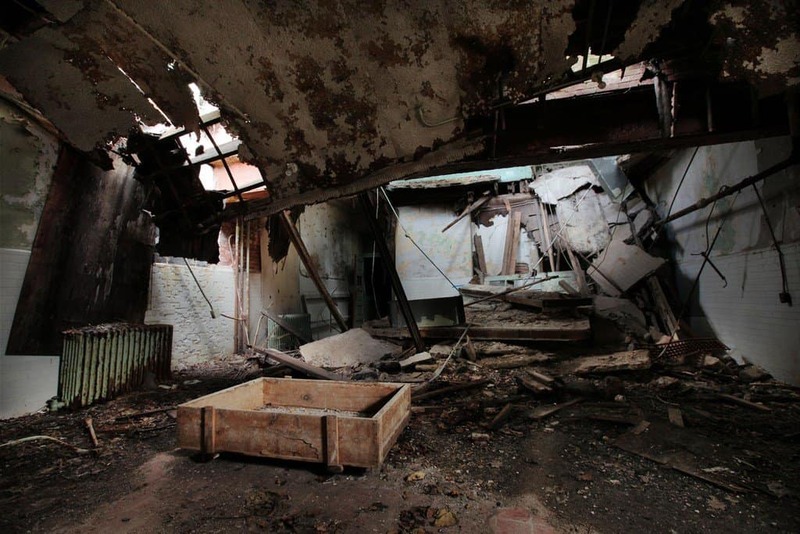 However, filed under abandoned, Building 25 of the center was the most violent ward of the asylum where only the most severe of cases were kept and treated. Referred to as the Renwick Smallpox Hospital, the Roosevelt Island Smallpox Hospital was built as early as 1856, but it was quickly abandoned, leaving the ruins to fall into a state of disrepair. 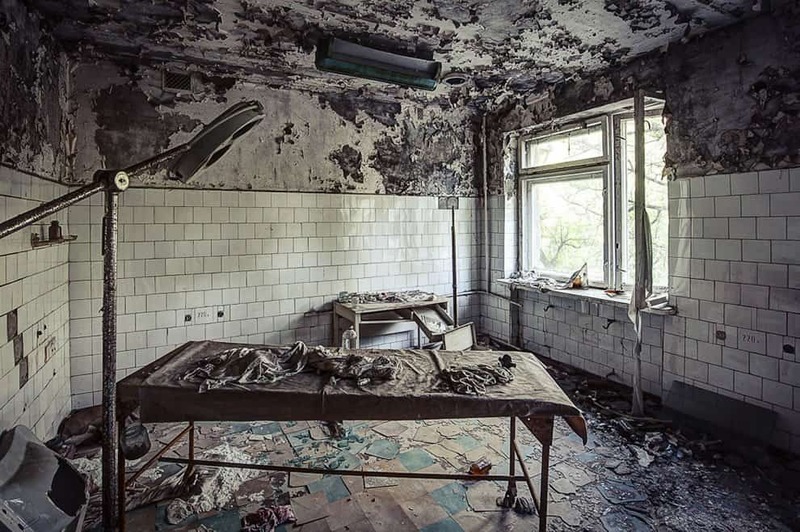 Giving you a glimpse of a Post-Nuclear world, the Pripyat Hospital in Chernobyl is one of the most terrifying places to visit, not only because there is still radiation there, but simply because of its haunting beauty. Included in the ‘Best Hospitals’ rankings for the past few years, Rancho Los Amigos Hospitals is one of the biggest rehabilitation centers in the LA County. 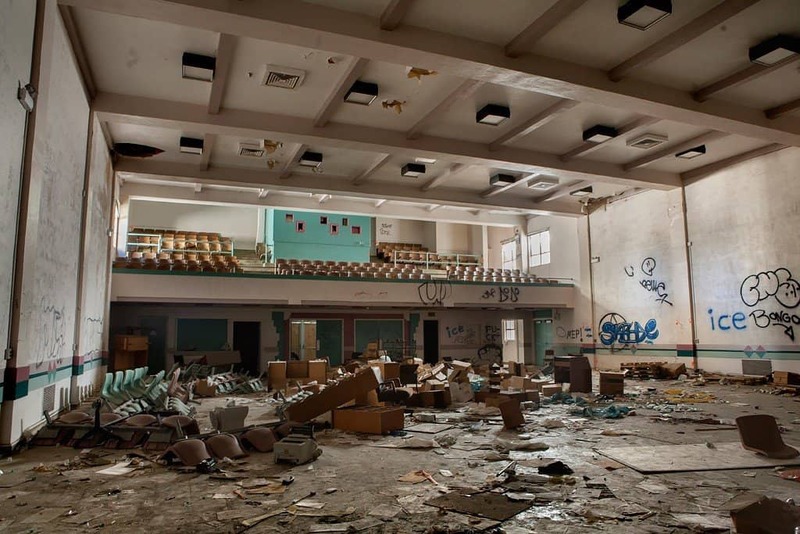 However, one of its buildings, part of the mental hospital, was abandoned because, as rumors go a patient there went mental and killed a priest who was on a visit. A poorhouse on Staten Island, the Farm Colony was abandoned due to its aging population. Today its haunting buildings, especially its hospital, are a perfect destination for any paranormal enthusiasts. 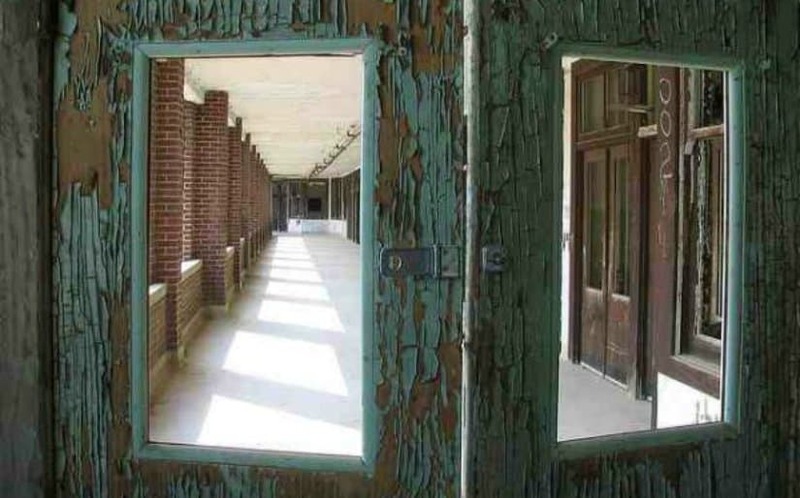 Part of a number of urban legends and myths, Waverly Hills Sanatorium has been known as one of the ‘most haunted places on earth,’ being featured on a number of TV Shows connected with the paranormal. There is even a film ‘Spooked: The Ghosts of Waverly Hills Sanatorium.’ that further explains all the myths about the abandoned hospital.